Waxjet 1 - 3D-Inkjet printer for industrial scale production of high precision, lost wax casting models. 3D-Inkjet printer for industrial scale production of high precision, lost wax casting models. Waxjet 1 is an industrial grade 3D printer optimized for production of large amounts of small, high precision wax models for lost wax casting of metals. Major market applications include; jewelry, dental, aerospace, automotive. Higher repeatability of castings; less deformation due to manual removal processes. 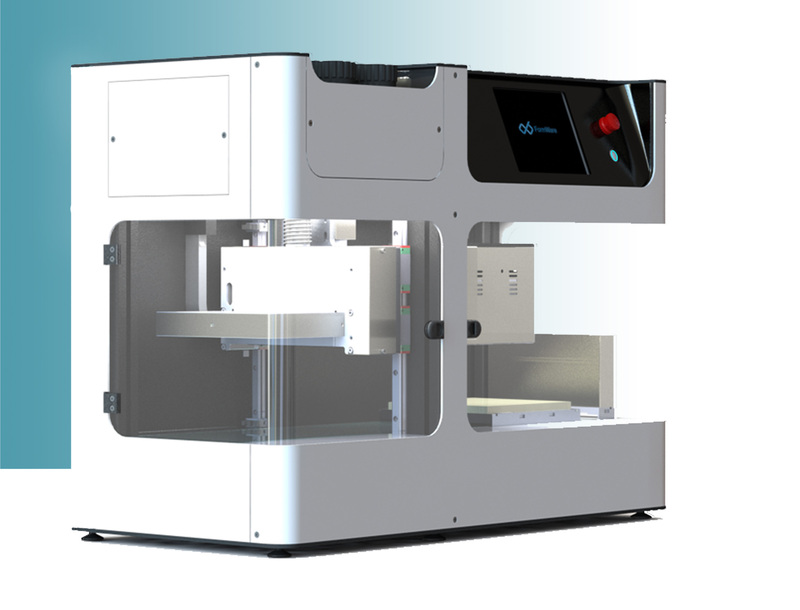 Waxjet 1 has been designed as an industrial production machine; it is easy to operate, maintain and repair which means little to no external service will be required. All modules are user serviceable and replaceable and will be made available through our web store with next day shipping. Waxjet 1 is in the final stages of development. We are currently beginning user trials with pre-selected customers. General Pre-Orders starting in 2019.